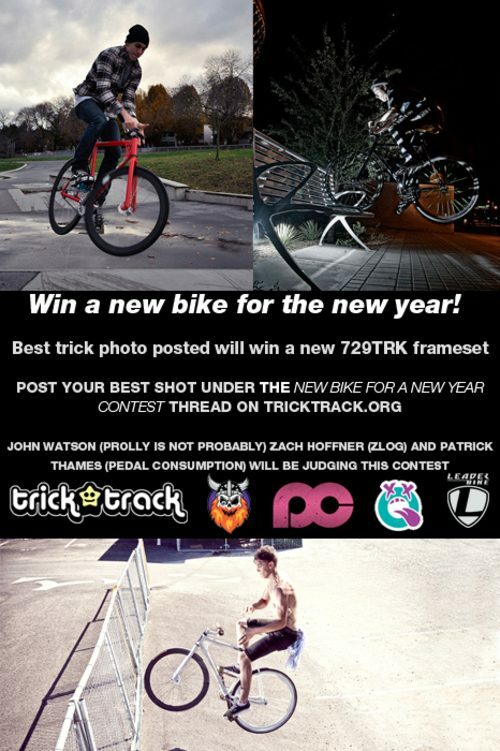 Just a reminder guys, the New Bike for a New Year Contest ends tonight at midnight (West Coast time). Get on that! Some great submissions have been posted in the Trick Track thread. I know you Cali kids have plenty of time left, so head out with your photography friends and get something shot!